Handmade Detroit | LAST CALL! Applications for DUCF 11 close Sunday at midnight! LAST CALL! Applications for DUCF 11 close Sunday at midnight! Crafters near and far! 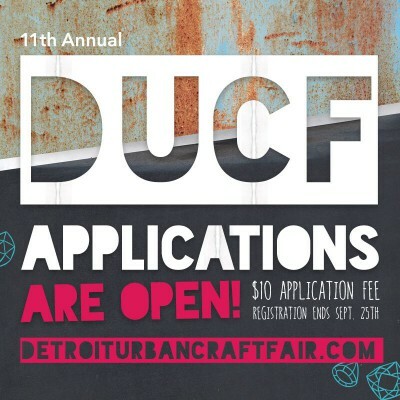 Applications for Detroit Urban Craft Fair close this Sunday, Sept 25th at midnight! We then begin the jurying process and send notifications out early October. Be sure you read very carefully the size photos the application accepts. Another suggestion for newcomers would to open and read the application questions first, then close it and reopen to apply, to be sure your app isn’t left open too long and it sends properly to us! I can report we’ve seen a lot of great work come through and we’re very excited to make our selection! DUCF is December 2-4th at the historic Masonic Temple! I JUST published my book this week! I found your event online today (Sept 28th) and really hope that I can be accepted into the admission process! Please let me know if I can do anything to become apart of your event. 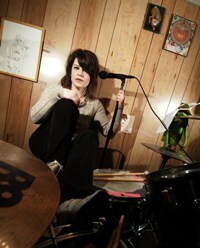 I am a Detroit girl by heart looking to make her mark!